As my veggie patch, or potager as they’re known here in France, is coming into its full glorified bloom and all my hard work’s paying off with a freebie larder of veritable goodies, I’ve decided to start something new on the blog, A Veg of the Month round up. Each month I’ll be choosing my most prolific in season veggie and blogging all the ways I’ve used and cooked with it, and asking readers to contribute their own recipes and ideas. 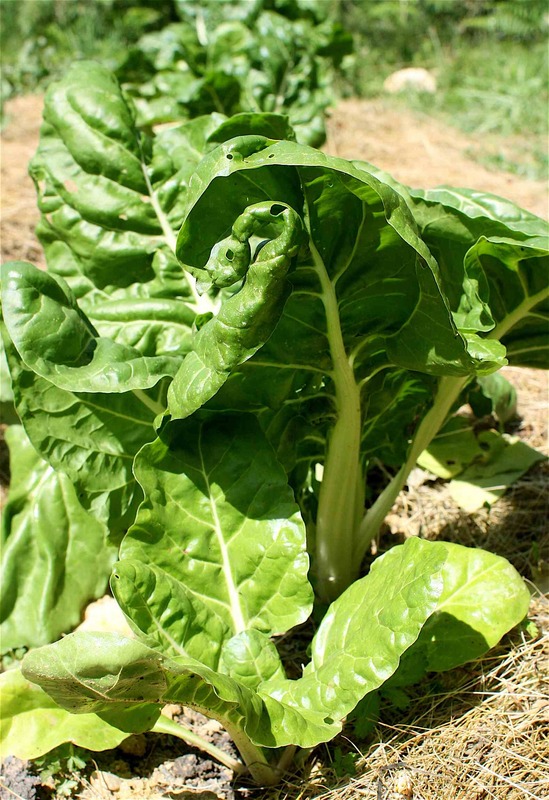 This month I’ve chosen the humble yet magnificent Swiss Chard, not the most obvious choice for a June veggie I know, but along with the more popular spinach it’s been one of the first abundant veggie’s of the season at Chez Foti. It’s a fabulously easy veg to grow, readily germinates, takes up relatively little space, seems to require little or no additional watering, grows quickly and profusely with individual plants lasting up to a staggering 18 months (and mine have) and is pretty darned hardy to boot! Interestingly it’s been a veggie generally unknown to most folk, myself included, apart from the allotmenteers and grow their owners, until the recent advent in popularity of the organic veg box schemes. Being such an easy crop to grow it’s no wonder it’s became a regular feature of the boxes. Chard is also a particularly heathy green leafy veg having high levels of vitamins A, K and C, and rich in minerals, dietary fibre and protein. Not only is it my wonder veg to grow it’s fabulously versatile in the kitchen too, and can be used a lot like spinach. The leaves can be picked young and small and eaten whole and raw in salads (which admittedly I have yet to do, as they seem to grow so quickly here!). Or they can be left to mature and the leaves separated from the stems. The stems are a little like celery and require slicing and cooking for a few minutes longer than the green leaves which are pretty much the same as spinach (though with a wee bit more oomph in the flavour department). As a veggie side chard is great sautéed for a few brief minutes in garlic and plenty of olive oil, adding a wee squeeze of lemon and a generous pinch of salt and black pepper at the end. Throwing in a tinned anchovy or two with the garlic and/or a finely sliced chilli works a treat; chard takes particularly well to strong salty flavours. Last week I made a delightful Chard & Broad Bean risotto (using my recipe for Lemon, Pea & Asparagus Risotto but switching the veggies). 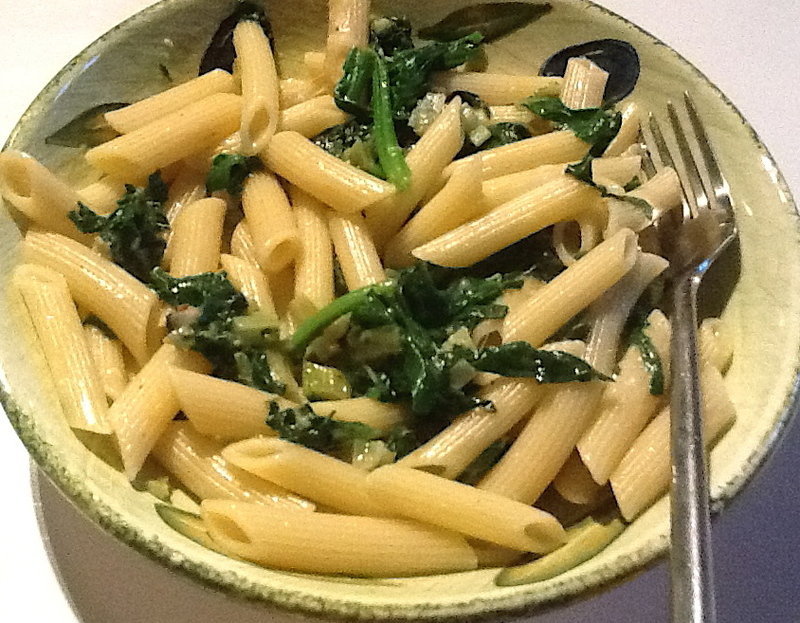 Earlier in the month I made Ewan Mitchell’s Pasta with Chard which provided us a very tasty mid-week supper in minutes. And I spiced it up in a wonderful Chochori, a Chard and Potato Curry courtesy of Nisha Katona’s Curry in a Hurry video. I’ve also added it shredded (at the last minute) to Frugal Feeding’s fabulously aromatic Slow Cooked Beef Curry and my own Prawn Thai Green Curry (recipe to follow). I’ve been adding Chard a plenty to my Chicken, Egg and Veggie Fried Rice or more often than not ditching the meat for a vegetarian freebie alternative (which the kids adore equally), throwing bundles of it into Pork & Noodle Stir Fries (and again various meat free versions), Kids Bolognese and Super-Vegged up Chillies. It’s also been a welcome green in many a soup, including my Cream of Veggie Souper Soup and Caldo Verde (Portuguese Greens Soup) and blitzed into a super nutritious Kids 5-a-day Pasta Sauce. So that’s it for my first ever Veg of the Month Round-Up. 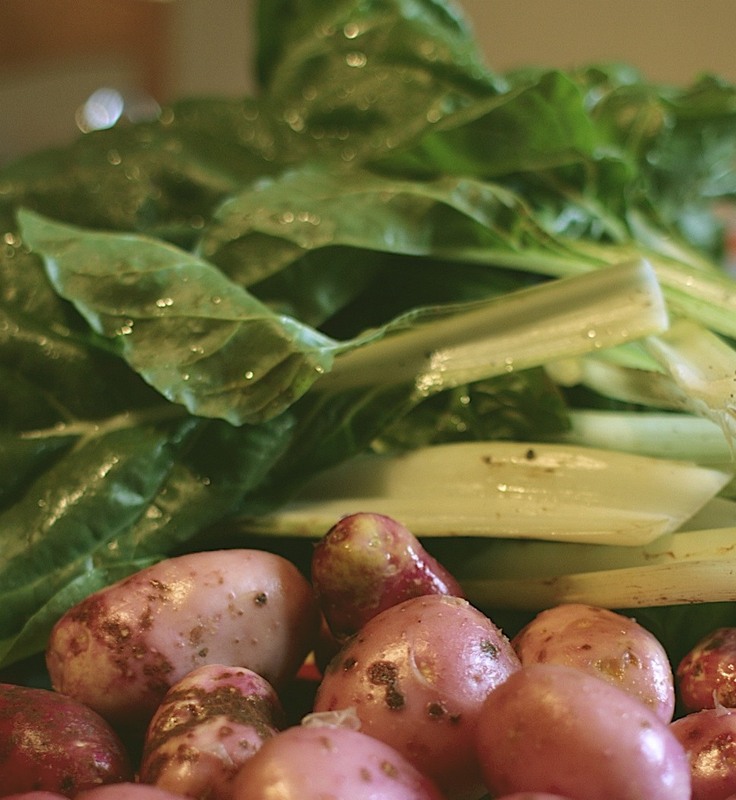 Feel free to join me in my celebration of the Chard Wonder Veg with your comments, ideas or recipes! I think we’ll be having chard in surplus supply for a good while yet so I’m looking forward to trying out some new ideas. This entry was posted on Thursday, July 5th, 2012 at 4:06 pm	and tagged with Chard, Swiss Chard and posted in The Potager, Veg of the Month. You can follow any responses to this entry through the RSS 2.0 feed.